Cape Town - Simply a reflection that this is a bigger-picture, World Cup year? Maybe ... but the fact remains that Super Rugby 2019 has looked decidedly higgledy-piggledy as we approach the midway stage of ordinary season. While a quartet of sides (though none yet from South Africa) have now played seven matches, the majority have had six, leaving them two off preparedness for the “turn” in the quest for knockout berths later in the campaign. There is no surprise, really, at the peak of the overall table as the nine-time champion Crusaders occupy that berth with a six-point cushion over surprise packages the Rebels and regular runners-up in recent seasons the Lions - though both have a game in hand. 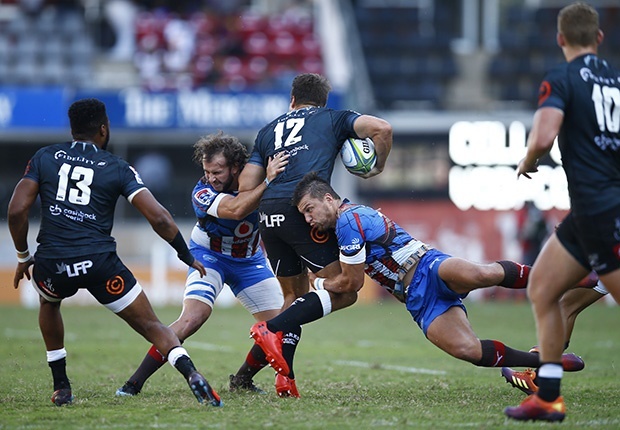 But only five points - in other words, one bonus-point victory - separate as many as six outfits between fourth place (Hurricanes, albeit among those having played seven) and ninth (Stormers). In local-interest terms, all four South African teams remain very much at the races on paper, with none outside the top nine and a particularly tight scramble taking place in the local conference where the Lions boast a tenuous one-point lead over the Bulls at the healthier end of the log. Another high-stakes derby takes place on Friday night at Emirates Airline Park, too, where Swys de Bruin’s charges come off their bye round to entertain the Sharks, who will be desperate to strike back after their gut-wrenching 19-16 home reverse to the Bulls where worst enemies were arguably themselves in a glaringly unattractive clash. While the injury-ravaged Stormers continued to lose some ground at the weekend by surrendering a second successive match in New Zealand - no special surprise there, of course - they again commanded healthy enough tracts of play against the Blues (the final score of 24-9 was cruel and deceptive) to suggest that better fortunes in a two-match Australian leg now are possible. Also worth bearing in mind if you are a Newlands devotee wishing to remain optimistic about the season, is that the Stormers will be the first SA side to return from the main overseas leg, leaving them with an almost automatically less taxing roster in the second half of the ordinary-season programme than any compatriots. Once they return (Reds and Rebels still lie ahead on tour, in that order), the Capetonians will have seven of eight fixtures on South African soil, including as many as six at their home ground. So it would be dangerous to write off their knockout chances, even if they return – worst-case scenario – winless from the Australasian safari. Whether it is in Brisbane or Melbourne, they may just have a precious win within their capability before heading homeward, although try-scoring remains a major problem for them. The logjam of contenders for the KO phase, at least for the time being, is also heavily explained, however, by the weird “swings” by teams from one game to the next. The Waratahs are probably best examples: only a week earlier they were the toast of the competition by handing the Crusaders a first defeat of the year in Sydney (20-12), but then on Saturday they caused all sorts of trauma for SuperBru match-tipping aficionados by slumping to a 31-29 setback at the hands of the Sunwolves at Newcastle - they may not be so quick in future to take occasional home matches to their version of the “platteland”. There were even the near-inevitable, dark suggestions on social media of a “fix” following Saturday’s jaw-dropper. How about this, too, for a turnaround by Aussie compatriots the Brumbies? Fresh off thrashing the Chiefs 54-17 in Canberra a few weeks back, they then bombed 43-13 to the Hurricanes in Palmerston North. From the SA group, the Bulls also demonstrated a schizophrenic tendency from one Loftus match to another - admittedly separated by a bye – when they trounced the Sharks 37-14 in a derby, before crashing to earth before their disbelieving faithful in that 56-20 fiasco against the visiting, suddenly resurgent Chiefs.